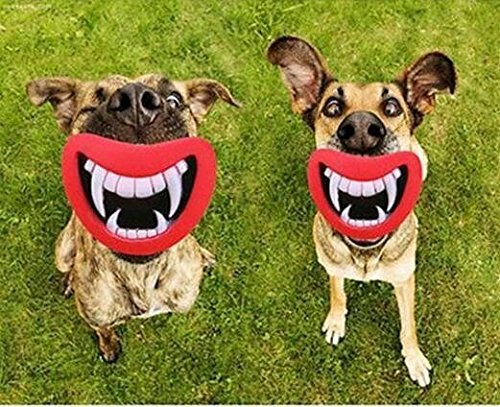 10, 20, 30 ,40feet or random setting on Remote control or iDog Mini. 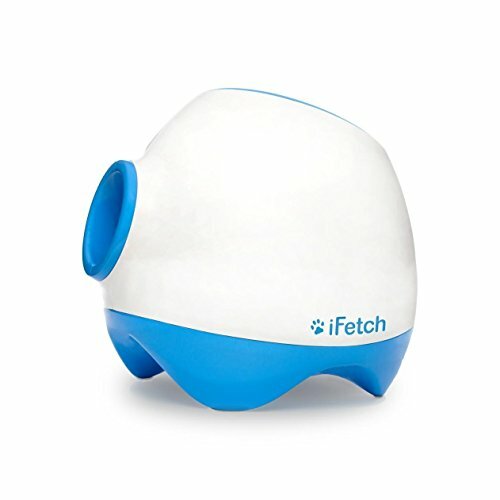 iDog Mini throws a ball a variable distance when it is placed in the funnel by the dog or person. 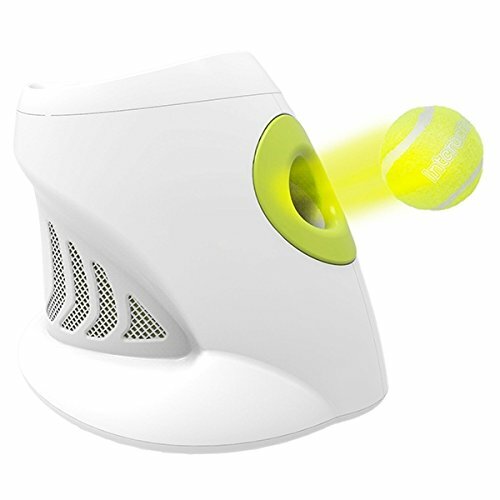 Launches miniature tennis balls that are 1.5″ (38mm) in diameter. And Built-in balls house. 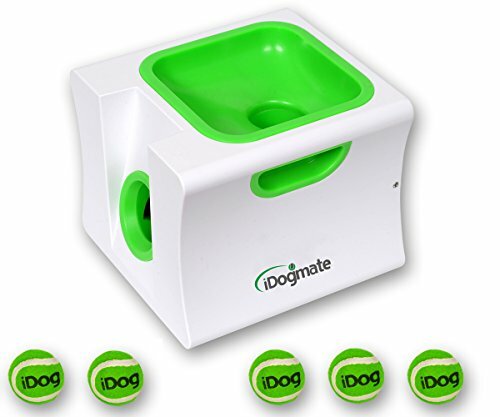 (FIVE miniature pet tennis balls are included with purchase). 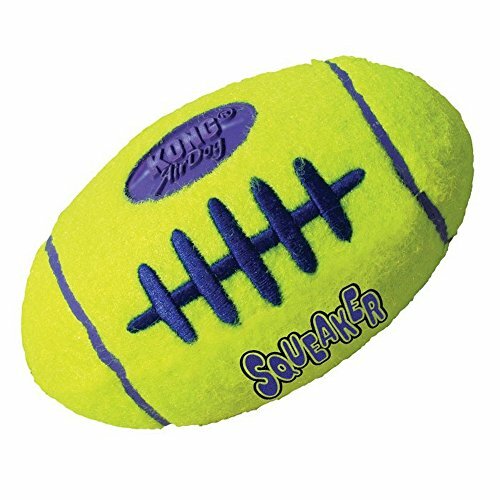 NOTE: These are NOT full sized tennis balls! 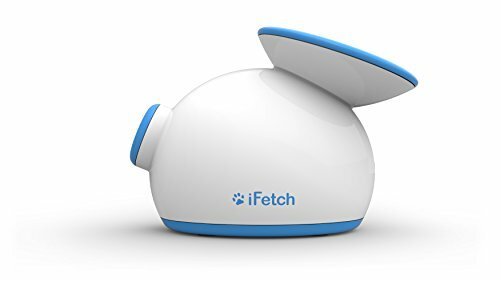 Runs on rechargeable Li-ion battery (included) which supports up to 500 launchers per full charging. 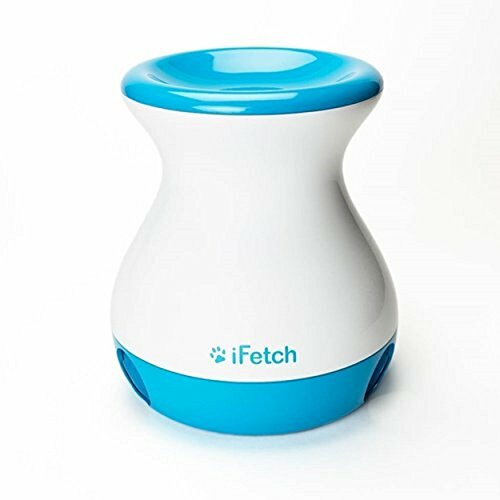 iFetch – Automatic Ball Launcher for your Dog! 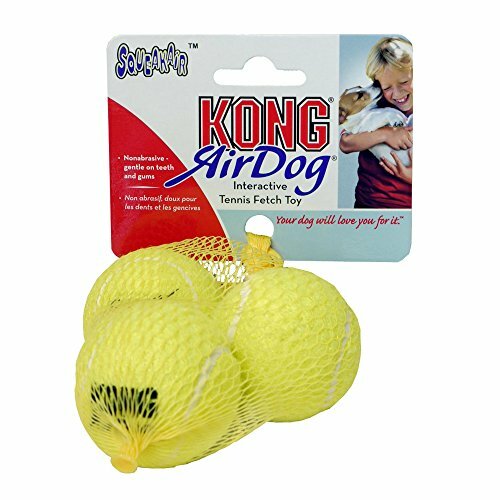 Pack of three tennis balls. 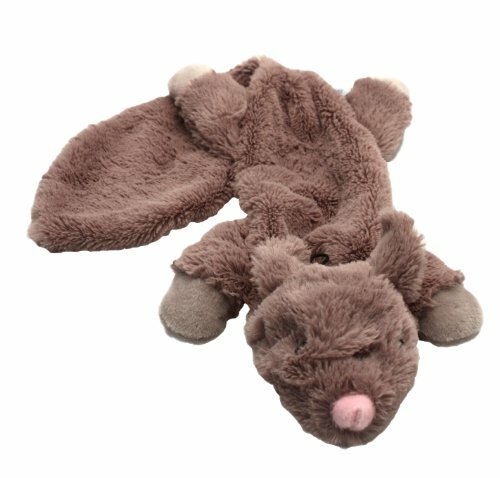 Dog fetch toy with rope. 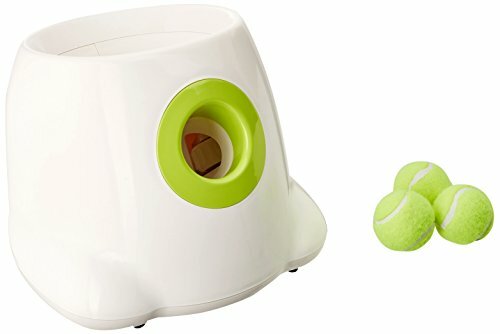 100% pure tennis ball in a fun shape. 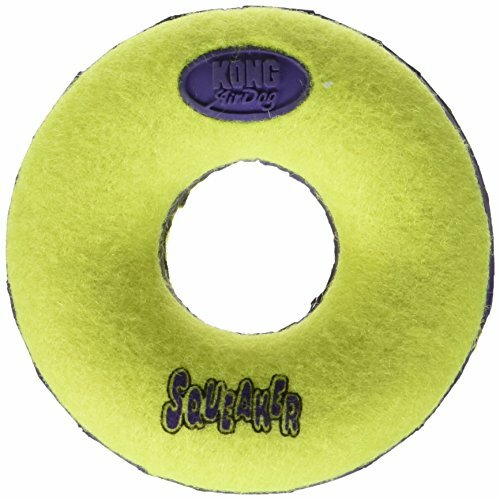 Bounces erratically on land and floats high in the water.